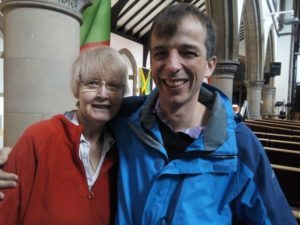 We meet every Sunday at 10.30 am and we would be delighted to meet you. 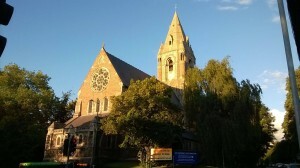 St Andrew’s Church is situated on the corner of Mansfield Road and Mapperley Road, just 15 minutes walk from the Victoria Centre. We are part of the Church of England, in the Diocese of Southwell and Nottingham. We have a congregation spanning many nations, some of which are represented by the flags displayed inside our church building. We have an informal style using Common Worship and other liturgies, with a mixture of Holy Communion, Morning Worship and All-age worship. The people of St. Andrew’s Church are committed to and recognise our legal responsibility to safeguard, nurture and care for children and vulnerable adults in our church community and those we come into contact with. You can see out safeguarding policy here. If you have a concern, find contact details for who to raise it with here. 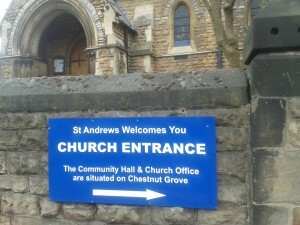 St Andrew’s has been commissioned as a Dementia Friendly Church. 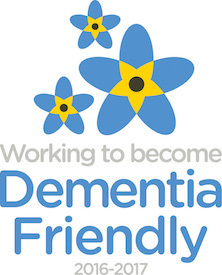 This means we understand those living with dementia may have additional needs. We hope to welcome you here, we aim to do our best to help you and we invite you to talk to us if you have any questions. Further details from Nikola Voce, Church Administrator and Advocate for those living with dementia.